I love this paper. 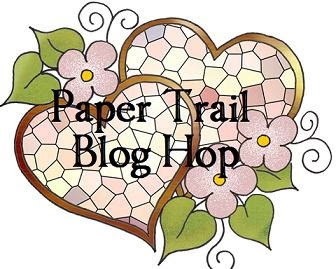 If you have arrived here from Betsy's blog, you are on the Paper Trail Blog Hop. This month we are featuring the lovely, cool Frosted from Close to My Heart. The paper combines cool blues and greys with the softness of off white. I used the pattern/layout, colors, and ideas featured in the Workshop on the Go paper pack and then added Ponderosa Pine to give the layout a more nature look and less Christmassy feel. I loved how you can use the layout included in the kit as an inspiration to jump into your own ideas. Continue to "hop" along the trail and head over to Tracey's Blog for more Frosted creativeness! Love the addition of the trees and glitter to the WOTG. Your stamping makes it special! Ponderosa Pine is one of my favorite colors with this paper packet! Love your stamped trees, it gives the impression that you are amdist the outdoors. Love all the little touches and the sparkly trees are a perfect addition! Lovely! Love this layout and it's perfect for those photos! Pretty layout! Perfect paper with these photos!